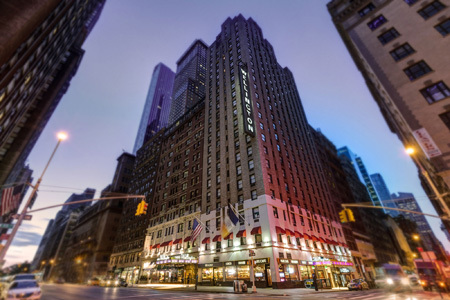 The Wellington is a popular hotel situated in Midtown Manhattan within easy walking distance of New York's celebrated Theatre District, a short stroll from Times Square and leisurely walk from Central Park. While there may also be a vast choice of restaurants in the vicinity, the hotel's award-winning Molyvos Restaurant offers traditional Greek dishes and grilled fish specialities. 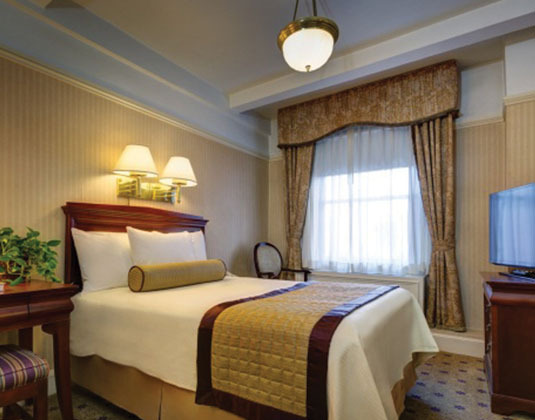 All of the comfortable guest rooms provide a welcome place to relax after busy days of sightseeing and exploring. An ideal choice for those seeking a central hotel at great value. In standard rooms with TV, hairdryer and iron & ironing board.